Welcome to the "My Account" section. From here, you can access your bookings, your reviews, all contacts (emails, phone numbers ..) and your user profile. By creating an account you will get access to your bookings and ratings. Please enter your email address and we will send you a password. Brisbane – Hostels in Brisbane. Maps for Brisbane, Photos and Reviews for each hostel in Brisbane. You cannot stay more than 31 nights in a hostel. Please enter your arrival date first. Looking for a hostel in Brisbane? 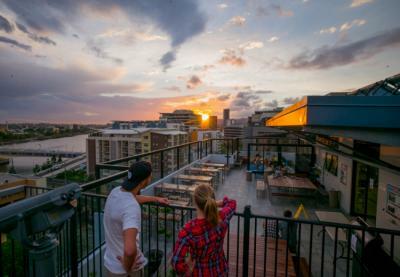 Look no further, all the good deals in Brisbane are on Dorms.com. Like thousands of other people every month, book your hostel securely at the best price in all neighbourhoods of Brisbane. 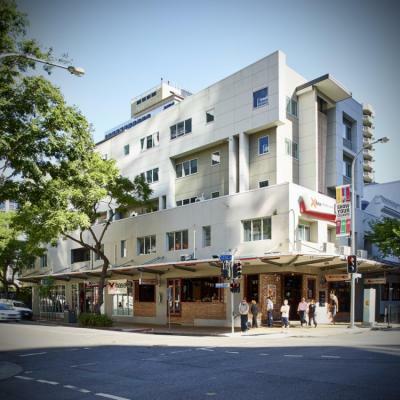 On this site, you can easily find a hostel downtown, in a trendy neighbourhood; a hostel in the student- university district, close to bus or train stations, airports or major attractions of Brisbane. Brisbane City YHA is the definition of central - 600m away from Roma Street Train Station and a two-minute walk to Suncorp Stadium! We are located around 10 minutes walk to the ONLY beach in Brisbane. South Bank was the location for expo88 and one of the best places to visit in Brisbane! First hostel I&apos;ve stayed in, was awesome met some interesting people everyone was friendly, really nice are up on the roof amazing view, good place to have a few beers before going out. The kitchen and roof top terrace are amazing, lovely cinema room and great location. Cleanliness, fresh feel. The kitchen was great! Very clean, lots of counter space and lockers for food storage. Nearly everything was fine! has a nice rooftop pool with an amazing view! would recommend that won! Staff are all very helpful and smart, especially Ben. Regular room cleaning everyday. The kitchenware borrowing system works well. Great meal deal and free drinks games. Great area which has nice restaurants, pubs and markets around, less than 10mins walk to Southbank. We are right on the edge of the massive 20 acre Roma Street Parklands. If they reckon that these are the lungs of the city, then you must be in the heart of it - and the guts of the CBD are right on your doorstep! The river is only a block away, which means it's easy to jump a ferry (after all Brisbane is known as The River City), or walk across to the other side. Nearby West End is a hangout for galleries, museums and other alternative lifestyles. Loved the location and bar nearby. The location is quite convenient ?? The hostel has a nice and comfortable living area. Register now your hostel on our brand new Extranet. All rights reserved. Dorms.com ® offers last minute booking of hostels worldwide. You can find Hostels in Paris; Hostels in London, Hostels in Barcelona, Hostels in New York, Hostels in Rome, Hostels in Amsterdam, Hostels in Dublin, Hostels in Madrid and Hostels in Prague…We also provide last minute information, guides and reviews for your perfect cheap hostel downtown.